The machine is advanced high precision filling machine which can complete the bottle counting, filling and capping process automaticly. 1. 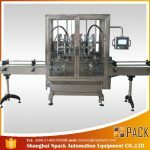 Compact structured, good-looking, easy to operate and highly automated. 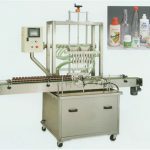 2. components contact with material are made of stainless steel, easy to clean up. 3. 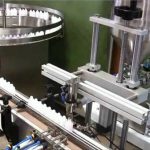 Filling volume is controlled with film valves to ensure accuracy. 4. 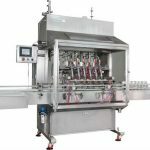 High-speed and highly accurate filling valves ensure no leakage. 5. 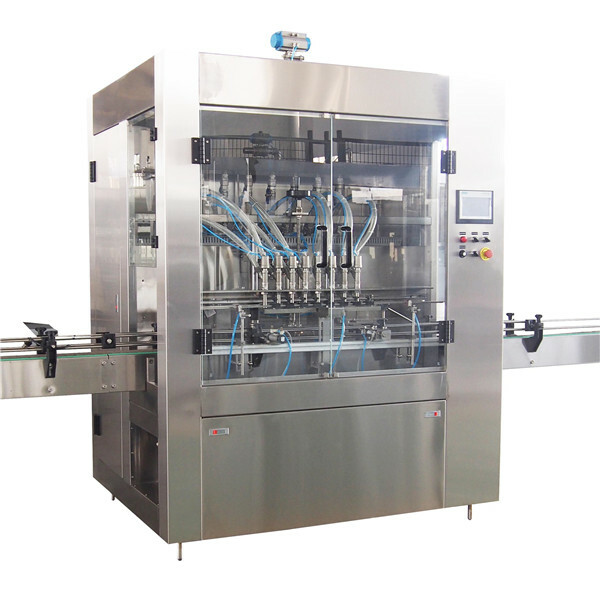 It is equipped with high-effective cap feeding system. Monitor language:English, Spanish, Arabic, Portuguese, Russian, Italian, French, Korean. 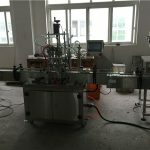 1.Linear type piston filling machine special designed for sticky liquid,such as detergent,shampoo,lotion,lubricant oil,edible oil,etc. 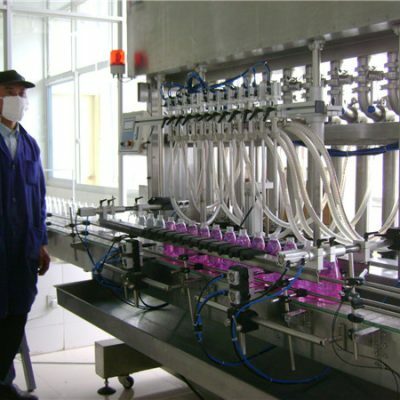 international advanced technology, already approved by well-known companies such as Bayer. 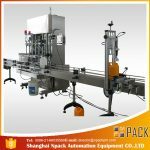 High filling accuracy, simple structure, stable working, widely application. 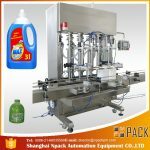 Counting of bottles inlet, qualitative filling, bottles outlet are done automatically. 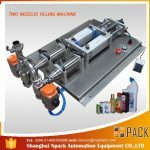 2.Not only the whole 13 filling nozzles dosage can be rough adjusted, but also each single filling nozzles dosage can finely adjusted. 3. 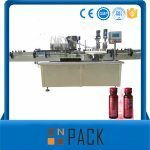 Can memorized many parameters, helpful for various specifications changed, all filling dosage can be adjusted by touch screen. 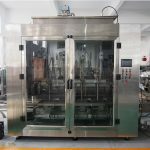 4.Liquid control for normal working liquid level control, sound and light alarm device, guarantee the liquid level at normal condition; also can achieved for inlet valve/pump control. 5. Material outlet joints all adopts quick-assembling type (clamp type), easily for clean. 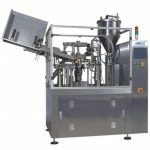 Sealing gaskets adopts fluorine rubber O-ring; sanitary connecting pipes. 6. With protection case, drip gutter, main materials are made of SS304, wetted parts are made of SS316L.